We are reaching a point in time where electronic music has clearly moved out of the dance context and into more experimental fields. Well maybe I should say that it has returned to a more experimental field, as the most clear influence on this album is that of krautrock. Seeing as I deeply love krautrock I do welcome this move, however the execution could have been much better and in spite of all the technological advances it still does not beat the original stuff that it is inspired on. So yeah I quite liked listening to this but I'd still rather put on Future Days or Tago Mago by Can than what amounts to a rehashing. 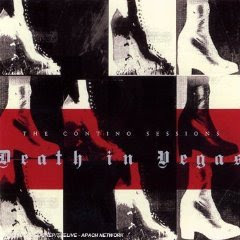 In fact Death in Vegas compromises a bit for the sake of commercialism... still it has a pretty great track with the Godlike Iggy Pop. In 2000 the album was nominated for the Mercury Music Prize.